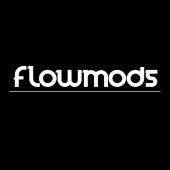 FlowMods had the most liked content! Another big satisfation for the end of this year!! Project Thunder nominated for the mod of the month 2017 bi Bit-Tech! Thank you all for the support!! If you guys want to vote for me, head over to this link on Bit-Tech site and vote for Project Thunder by Flowmods! https://www.bit-tech.net/features/modding/mod-of-the-month/bit-tech-mod-of-the-year-2017-in-association-with-corsair/26/ Thank you! Hi guys! Project Thunder has been nominated for the Mod of the Month of November 2017 on Bit-Tech! If you liked my project please leave a vote at: https://forums.bit-tech.net/index.php?threads%2Fmod-of-the-month-november-2017-in-association-with-corsair.336617%2F Thank you guys! Hi guys! Project Thunder is almost done need to finish cable management and fill the loops What do you think? Hi all! TTesports and Luxa2 is now supporting the project with awesome peripherals! - TTesports Meka Pro -‎ TTesports Ventus x RGB -‎ TTesports Draconem RGB cloth edition -‎ TTesports Cronos Riing 7.1 RGB -‎ Luxa2 E-One The project is almost finished, stay tuned! Hi guys! Big up Finished the midplate and placed it! In my opinion, it looks really cool! What do you think? Hi guys! Midplate is finally complete with rgb led! What do you think? Hi guys! Cables for Project Thunder are ready! Black, yellow and dark grey.. What do you guys think? Thanks again to Shakmods for the sleeve material! Sleeving in progress.. what do you guys think? Thanks again Shakmods for supplying me the material! Hi guys! The midplate with black countersunk screws is ready and at his place! The new frontplate is also already ok! What do you guys think?